One month before the closure of registration, record of participation in Car / Truck category is already broken! The Team MONSTER ENERGY X RAID will compete for the first place of the podium with Leonid Novitsky (World champion 2011 and winner of the OiLibya Rally of Morocco) and Nani Roma at the wheel of their Mini, but also Ricardo Leal dos Santos and Boris Garafulic. The face to face is expected with the 4 cars of the Team OVERDRIVE. We will welcome with pleasure Orlando Terranova at the wheel of the TOYOTA HILUX which will do its first race in rally raid. 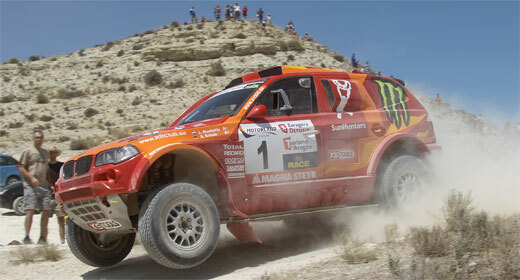 “we confirm that the team Overdrive come in force on the Morocco 2011. In the near future, we hope that the new Toyota will have the same performances as the BMW diesel…” tell us Jean-Marc Fortin (Team manager of Overdrive). For the fight to the first place, we have also the Team MD RALLYE SPORT faithful to the rallyes NPO, with 7 cars in the race. Three of whom are Pascal Thomasse, Régis Delahaye and Jean-Noel Julien. About MD RALLYE SPORT one thing is sure, it will run strong ! 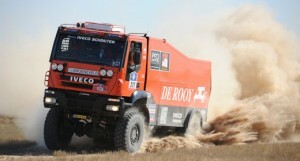 TRUCK : “HEAVYWEIGHTS” IN THE RACE ! The Team De ROOY, Alain COQUELLE crew, the teams SODICAR, X-DAKAR AND WEVERS SPORT come to compete against the winners of the NPO Desert Trophy 2010 : Elisabete JACINTO/Marco COCHINHO/Charly GOTLIB – Team OLEOBAN. The fight will be hard and at least 10 trucks will be at the departure of the Rally OiLibya of Morocco at Ouarzazate. Determination, audacity and offensive will be the main qualities to get a good place on the palmares ! BIKES/QUADS : LAST TEST BEFORE THE DAKAR ! With 20 entrants the category Enduro Cup, reserved to the bikes and quads in original configuration will be a “rece into the race”! Winnier of the last OiLibya Rally of Morocco, Thomas Bourgin will have to defend his title on the morocan trails against many competitors. And for the SSV, we are going to have a fight between the main Teams : the team BOOXT in whom Jean-Charles Pujol, and the Team SSV OFF ROAD ! 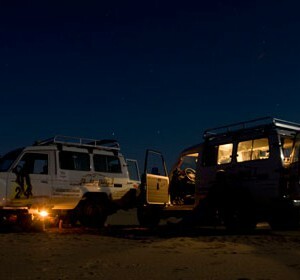 Pharaons Rally 2011: Each stage will be a challenge!